Conscientious objection in the United States is based on the Military Selective Service Act, which delegates its implementation to the Selective Service System. Conscientious objection is also recognized by the Department of Defense. Belief in an external power or "being" or deeply held moral or ethical belief, to which all else is subordinate or upon which all else is ultimately dependent, and which has the power or force to affect moral well-being. The external power or "being" need not be one that has found expression in either religious or societal traditions. However, it should sincerely occupy a place of equal or greater value in the life of its possessor. Deeply held moral or ethical beliefs should be valued with the strength and devotion of traditional religious conviction. The term "religious training and/or belief" may include solely moral or ethical beliefs even though the applicant may not characterize these beliefs as "religious" in the traditional sense, or may expressly characterize them as not religious. The term "religious training and/or belief" does not include a belief that rests solely upon considerations of policy, pragmatism, expediency, or political views. During the American Revolutionary War, exemptions varied by state. Pennsylvania required conscientious objectors who would not join companies of voluntary soldiers, called Associations, to pay a fine roughly equal to the time they would have spent in military drill. :2 Quakers who refused this extra tax had their property confiscated. Civilian Public Service (CPS) provided conscientious objectors in the United States an alternative to military service during World War II. From 1941 to 1947 nearly 12,000 draftees,:452 unwilling to do any type of military service, performed work of national importance in 152 CPS camps throughout the United States and Puerto Rico. Alternatives to war bonds and war savings stamps were provided for those who would not fund the war for conscientious reasons. The National Service Board for Religious Objectors offered civilian bonds and the Mennonite Central Committee offered Civilian Public Service stamps and War Sufferers' Relief stamps. 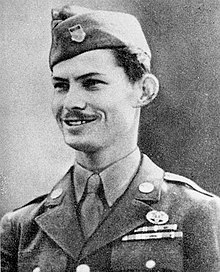 Desmond Doss, a Seventh-day Adventist, was the first of three conscientious objectors who agreed to serve in the US military in noncombatant roles and were subsequently awarded the Medal of Honor, the nation's highest military decoration. Desmond T. Doss, a Virginia native and Seventh-day Adventist, desired to perform military service after the start of World War II. While enlisting with the intention of becoming a combat medic, Doss tried to claim noncombatant status but was told that the military did not recognize the designation. He was informed that he should register as a conscientious objector. Doss personally preferred to be called a "conscientious cooperator" because he would willingly serve his country, wear a uniform, salute the flag, and help with the war effort. 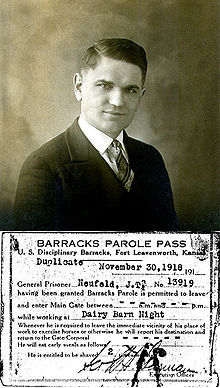 Nevertheless, Doss accepted the designation "conscientious objector" in order to join the army and avoid a Section 8 discharge on account of his religious convictions. On October 12, 1945, Desmond Doss received the Medal of Honor from President Harry S. Truman. This medal is the highest award for valor in action against an enemy force. By helping to support and maintain the war, Desmond was the first non-combatant to receive the Medal of Honor. A dramatized account of Doss's life and war experience, as well as testimony from his peers, is portrayed in Mel Gibson's 2016 film Hacksaw Ridge, starring Andrew Garfield as Doss. Other conscientious objectors who have been awarded the Medal of Honor are Thomas W. Bennett and Joseph G. LaPointe, both medics who served during the Vietnam War. Both Bennett and LaPointe were killed in combat within four months of each other in 1969 and were awarded their medals posthumously. During a draft, the Selective Service System assigns classifications to draftees. A person classified as 1-A is considered available for military service. Conscientious objectors available for noncombatant military service are classified as 1-A-O, while those who oppose all military service are classified as 1-O and available for civilian work. During a draft, as part of the Alternative Service Program, the Selective Service System will consider 1-O (civilian) conscientious objectors to be Alternative Service Workers (ASWs), required to work for members of the Alternative Service Employer Network (ASEN). The Department of Defense also implements the classification of conscientious objectors into its own system. The Navy, the Marine Corps, the Army, the Air Force, and the Coast Guard each provide their own policies on conscientious objection. When the draft is not in effect, only those who have enlisted themselves can apply for or receive formal conscientious objector status. Such a person is only eligible for classification as a conscientious objector only if their beliefs are determined to have "crystallized" after receipt of an induction notice. :3 The Selective Service System does not accept requests for classification as a conscientious objector when the draft is not in effect. If the draft is reinstated, a draftee will have a short period of time after enlistment to request classification as a conscientious objector. A person who is already enlisted can file for classification as a 1-A-O conscientious objector to be assigned to two years of noncombatant service or civilian work "contributing to the maintenance of the national health, safety, or interest". For serving personnel of the United States military, conscientious objection applications are "subject to an investigative process by a senior officer not in the applicant's chain of command", as well as "an interview of the applicant by a military chaplain as well as a psychiatrist or medical officer". The officer conducts an informal hearing at which the sincerity of the applicant's convictions is examined. By whom the decision is made varies by military branch. Conscientious objector applications for enlisted soldiers are reviewed on a case-by-case basis by the individual's respective branch of the military. Between 2001 and 2007, Army acceptance rates for conscientious objector applications varied. Of the few applications the Army received (between 18 and 39 per year) between 49% and 78% were accepted per year. Cox v. United States (1947) , 332 U.S. 442 (U.S. 1947). Gardiner v. Tarr , 341 F. Supp. 422 (D.D.C. 1972). Gillette v. United States , 401 U.S. 437 (U.S. 1971). Parisi v. Davidson , 405 U.S. 34 (U.S. 1972). United States v. Seeger , 380 U.S. 163 (U.S. 1965). Welsh v. United States , 398 U.S. 333 (U.S. 1970). Witmer v. United States , 348 U.S. 375 (U.S. 1955). ^ a b c d e f g h i j "Department of Defense Instruction 1300.06" (pdf). May 31, 2007. ^ United States v. Seeger (1965). ^ Welsh v. United States (1970). ^ Galvin, Bill (August 2009). The Guide for COs in the Military (PDF). Center on Conscience & War. Retrieved May 2, 2017. ^ a b c d e f g h i Gingerich, Melvin (1949). Service for Peace, A History of Mennonite Civilian Public Service. Mennonite Central Committee. ^ "300 1865 USD in 2017 USD". WolframAlpha. ^ "500 1865 USD in 2017 USD". WolframAlpha. ^ Smith, C. Henry (1981). Smith's Story of the Mennonites. Revised and expanded by Cornelius Krahn. Newton, Kansas: Faith and Life Press. ISBN 0-87303-069-9. ^ Siuslaw National Forest; History Department; Portland State University. "Camp 56: An Oral History Project: World War II Conscientious Objectors and the Waldport, Oregon Civilian Public Service Camp" (PDF). Center for Columbia River History. Archived from the original (PDF) on 2013-06-04. Retrieved August 15, 2013. ^ Pannabecker, Samuel Floyd (1975). Open Doors: A History of the General Conference Mennonite Church. Faith and Life Press. ISBN 0-87303-636-0. ^ "Private First Class Desmond T. Doss Interview". March 20, 1987. ^ Benedict, Terry (Director) (March 2004). The Conscientious Objector (Motion Picture). United States. ^ "Classifications". Selective Service System. ^ "Alternative Service Employer Network". Selective Service System. ^ "MILPERSMAN 1900-020" (PDF). Navy Personnel Command. August 22, 2002. ^ "Marine Corps Order 1306.16F" (PDF). United States Marine Corps. June 11, 2013. ^ "Army Regulation 600–43" (PDF). Federation of American Scientists. August 21, 2006. ^ "Air Force Instruction 36-3204" (PDF). Air Force E-Publishing. April 6, 2017. ^ "COMDTINST 1900.8" (PDF). United States Department of Defense. November 30, 1990. ^ "COMDTINST M1000.4" (PDF). United States Department of Defense. March 23, 2015. ^ Conscientious objection to military service (PDF). United Nations Human Rights. 2012. pp. 63–64. ISBN 978-92-1-055405-3. ^ "Conscientious Objectors". The United States Army. August 2, 2007. Retrieved May 3, 2017. Capozzola, Christopher. Uncle Sam wants you: World War I and the making of the modern American citizen (2008). Eller Cynthia. Conscientious Objectors and the Second World War: Moral and Religious Arguments in Support of Pacifism (1991). Flynn, George Q. Lewis Hershey and the Conscientious Objector: The World War II Experience. Military Affairs 47 (February 1983) 1-6. Hall, Mitchell K. ed, Opposition to War: An Encyclopedia of U.S. Peace and Antiwar Movements (2 vol, ABC-CLIO 2018). Kohn Stephen M. Jailed for Peace: The History of American Draft Law Violators, 1658-1985 (1986). Tannenbaum, Seth S. "Activism without 'Radicalism': American Activism on Behalf of Conscientious Objectors during World War I." Peace & Change (2017) 42#1, pp 32–63. Taylor, Steven. Acts of conscience: World War II, mental institutions, and religious objectors (Syracuse UP, 2009). Frazier, Heather T. and John O Sullivan, eds. We Have Just Begun to Not Fight: An Oral History of Conscientious Objectors in Civilian Public Service in World War II (Twayne, 1996).